Phil Mickelson is gearing up for the 2018 Ryder Cup hosted in France by implementing an interesting training technique. 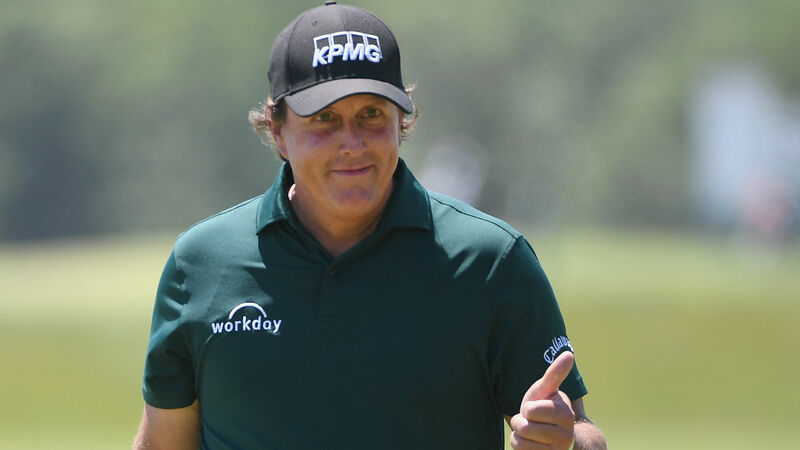 New to Twitter, Mickelson posted a video on the social media site of himself firing a long-range sniper rifle, claiming it was good preparation to topple Europe later this month. Mickelson made the team as a captain’s pick after earning a win this season for the first time since 2013. Jim Furyk also picked Tiger Woods, Bryson DeChambeau and Tony Finau to round out his squad. The US reclaimed the Ryder Cup trophy in 2016 with a convincing win at Hazeltine National in Minnesota. But Europe has won the last five times the event has been played on its home soil, making this a tough test for the talented U.S. squad. Still, at 48 years old, Mickelson has shown enough athleticism and leadership to help this team get the job done.